The Brazilian ThreeHopper has been around for nearly 40 Million years . Most known for its creepy yet fascinating look that can certainly give a person the chills,especially when we look at the bizarre ornamentation on their thorax. Scientists have made much efforts to try and find out what those ornaments functions as but to much avail . However , many believe that it might be a sort of defense mechanism . 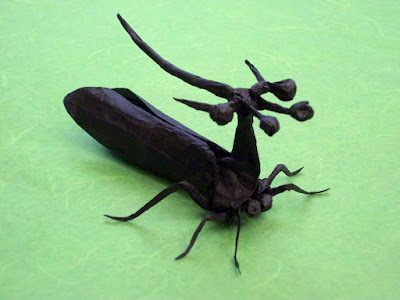 This interesting insect lives a very solitary life and is definitely one of the strangest creatures in the whole world.